Neonwall, from JanduSoft and Norain Games, is a futuristic, first-person puzzle game that will be playable both with and without a PlayStation VR. 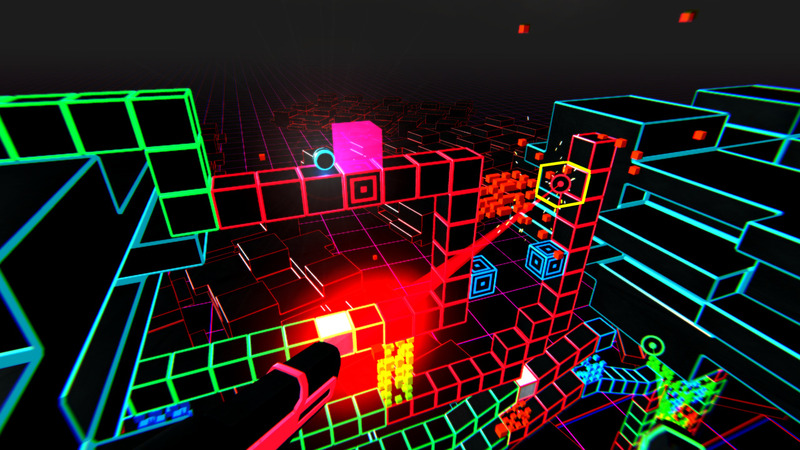 Neonwall takes place in the titular land of Neonwall, a futuristic Tron-esque world. Trapped in this mysterious land, you’ll need to always be on your toes to make it out. It’s a puzzle game with an action twist, ensuring things will never let up. Constantly moving, you are equipped with two light guns that can change color. You must be on top of the environment around you to make sure you’re prepared for any color combination you may face. By testing your coordination and reaction skills, you may just be able to make it out of Neonwall. Drag, change color & shoot with your VR controllers. Three game modes. Runner, Puzzle & Time trial. More than 50 levels in 3D. Support for different game controllers modes. Neonwall is the latest game from JanduSoft. Their previous efforts included Super Hyperactive Ninja and Caveman Warriors. Neonwall will release on September 13, 2018 for the PlayStation 4, Xbox One and PC. It will be playable in VR on the PS4 and PC.